The extensive range of Pit Liners offered by us is fabricated using high-grade basic material, which is procured from reliable vendors. These are highly durable, corrosion resistant and available in different configurations. Further, we also offer these Liners in customized finishes and at competitive prices. 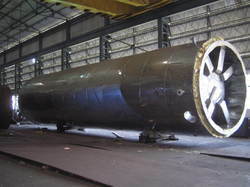 With the constant support of our dexterous crew of technocrats, we are fulfilling the varied requirements of clients by manufacturing optimum quality Storage Vessel Tank. - Used for storing liquid items. Manufacturer of L & t skirt shell -2 which is made up of high quality raw material. We are offering our clients, a wide range of skirt shell that is designed as per international quality standards. These are manufactured using quality raw material sourced from the trustworthy suppliers, and are widely used in various industries. 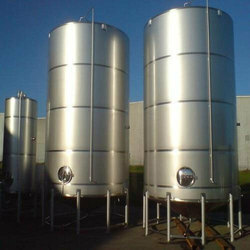 Being a leading firm in this industry, we are manufacturing and supplying a premium quality range of Chemical Storage Vessel.